It seemed like little quilted Mug Rugs were all the rage all over blogland before Christmas. There were swaps and tutorials and everyone was making them. I tried to get into one swap, I think it was from Flickr or Ravelry, but was told I was not active enough on the site to qualify. Just as well though because I ended up having lots of fun in the swaps I did take part in. I did not, however, make any mug rugs for them. So after Christmas, one of the blogs I follow that frequently hosts swaps was looking for a few swap angels to send packages to a few of the people whose partners didn't follow through. 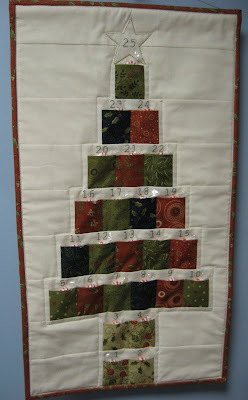 I was finished with all my projects and had some wonderful Christmas fabric scraps leftover, so I figured what the heck. Now's my chance to do something nice for someone without getting anything back. Well, even that didn't work out! The slacking swappers came through in the end. 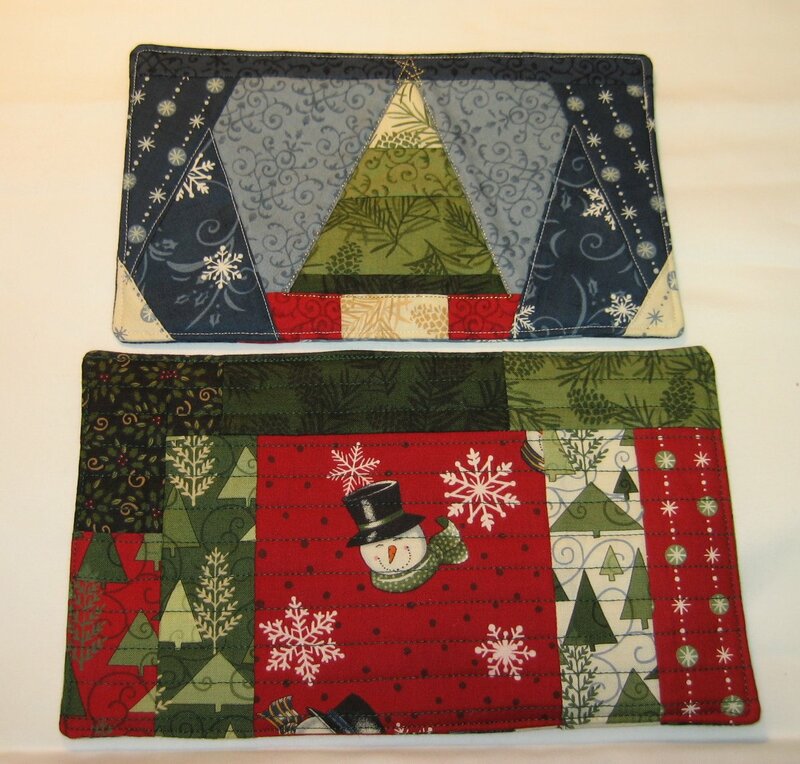 But that's ok too, because now I have two nice little Christmas mug rugs that I can use as gifts or giveaways next Christmas! The scraps I used were leftover from the Candle Mat I made for a swap and the fabric line is Makin' New Friends by Deb Strain for Moda. Such happy colors and designs! For both of these little mats, I didn't use any kind of a pattern. 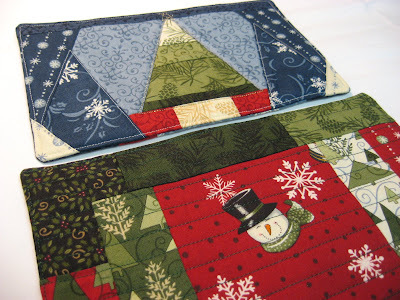 I just randomly pieced what I had together to make the tree and then the surrounding design for the blue one, and for the red one, I started with that friendly snowman charm square and then pieced scraps onto it until it was as big as I wanted it. These were both very quick and fun projects and would make nice teacher or swap gifts tucked into a cheerful Christmas mug with a package of flavored coffee and a baggie of homemade biscotti. I guess my teacher gifts are all set for next year! But I'll wait to make the biscotti! You are so sweet - those are so cute! You saved the day for a few swappers! I love your mug rugs - what a neat idea - mug rugs are something new to me. I love them, especially the snowman!! 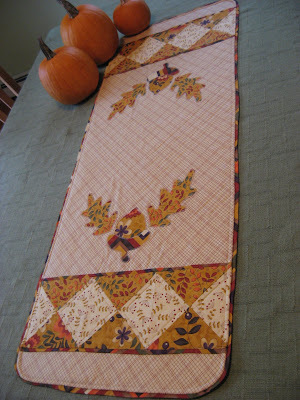 I have yet to make a mug rug, but it is on my to try list!! Now these are just gorgeous!!! What a cute idea! I must make some! May I ask how you finished your edges? I just finished a mug rug and the binding was a pain! I did the binding like I normally do quilt binding, but because it was so small, it was difficult to maneuver!